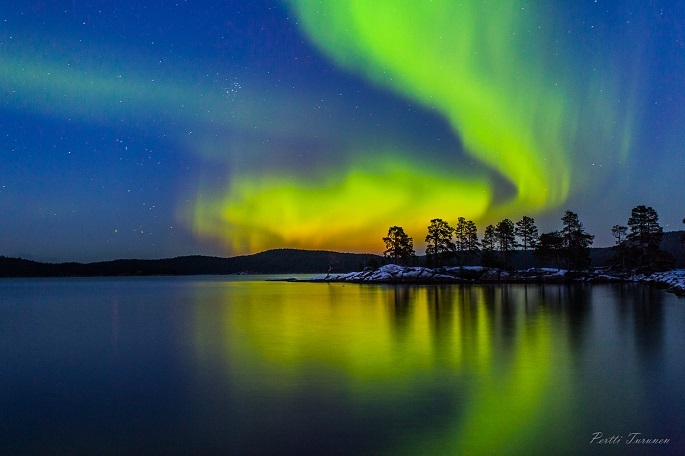 Pertti Turunen, a legend in nature photography of the High North will discuss threadbare the Northern Lights photography in a lecture session slated for October 23 at the Rovaniemi City Library. The library deserves special appreciation for making the event come true, in collaboration with the Astronomical Society of Lapland (PohjanKruunu) at the right time and with a right speaker. People are welcome to this two-hour session from 6:00pm to 8:00pm, which is open to all, if they want to learn how best to photograph the Northern Lights, the most fascinating magic of the night sky, said one of the organisers. “Although the lecture will be delivered in Finnish, I welcome everybody, even if you don’t comprehend Finnish, as the participants would also have the opportunity to appreciate firsthand many a excellent photo of the Northern Lights,” said Special Librarian Mari Ekman. “The programme is open to all. We expect many guests would join in the lecture session and take an active part in the following discussion,” she said, adding that at least 60 Northern Lights photography enthusiasts are expected to come. Pertti Turunen, who hails from Vaasa, has been shooting the nature of the High North for the last 30 years. He recommended a SLR camera with a high aperture lens for shooting the Aurora Borealis, but a regular camera could do the job too, depending on the photographer’s skills. Turunen so far has authored five books on photography and of photographs – the Inarijärvi book was released in 2009, ‘Lapin valot’ in 2011, the ‘Inari Year, Lights of Lapland’ in 2012, and the ‘Lapinmaa = Lapland’ in 2016. As a veteran nature photographer, he emphasised selection of a good location, besides the degree of beauty of the subject, the patience and perseverance required to stay up in freezing nights, for instance, on a frozen lake, to capture a good image of the Aurora. Although he admits that luck sometimes plays its part, “a good photographer usually has plenty of work and experience behind his shots. So add in the luck, and you’re great,” Turunen quipped.